What a wonderful set this is. 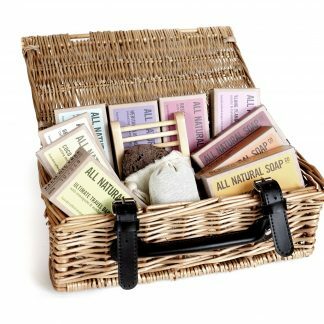 Two gorgeously scented floral soaps combined with an elegant and practical all-natural soap dish. 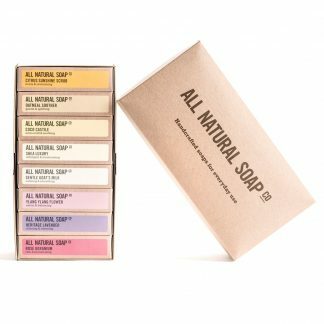 The flower-scented soaps included with this set are our signature Rose Geranium bar and the exotic & balancing Ylang Ylang Flower soap, both naturally coloured in elegant shades of pink. 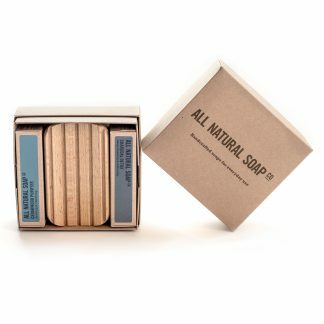 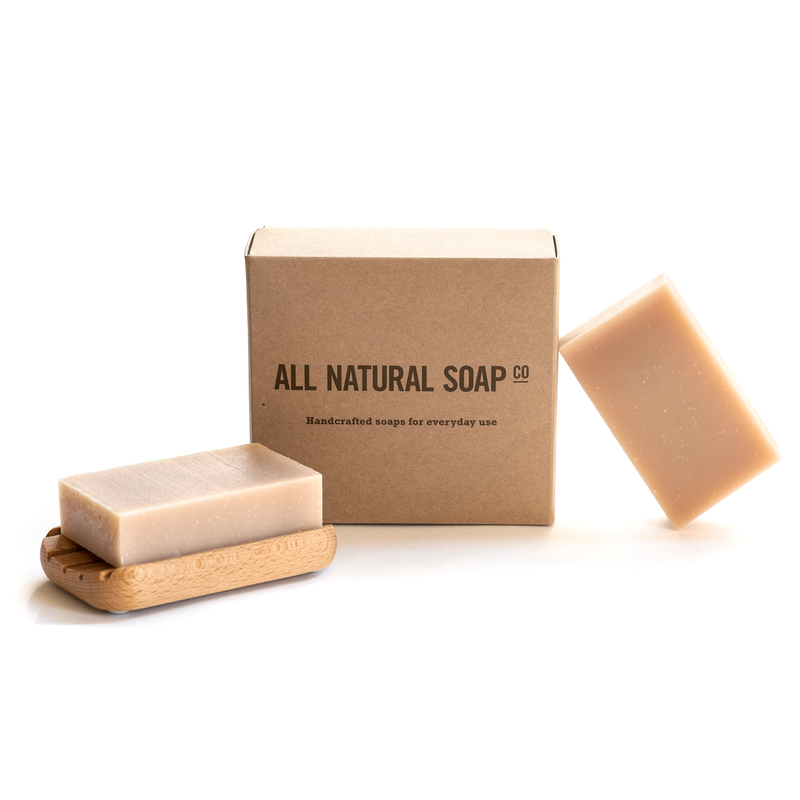 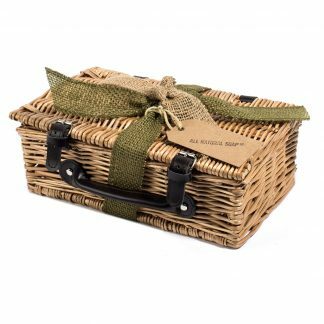 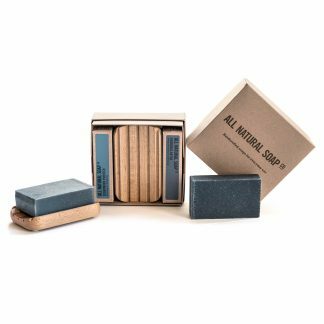 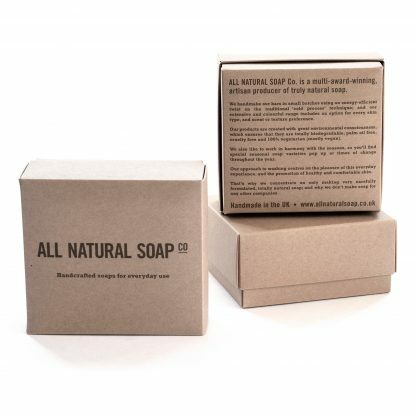 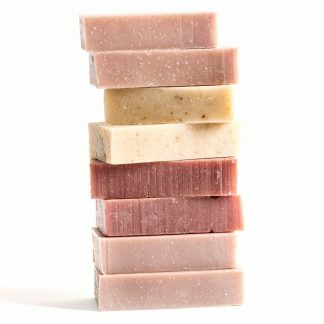 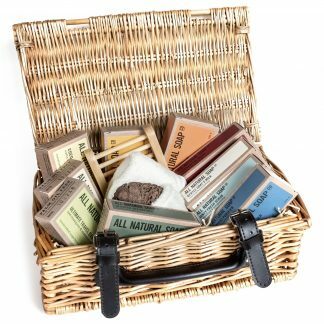 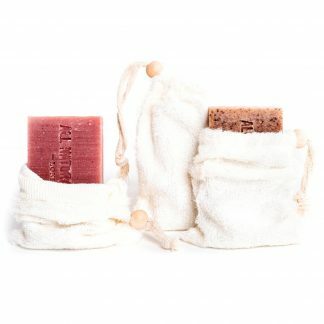 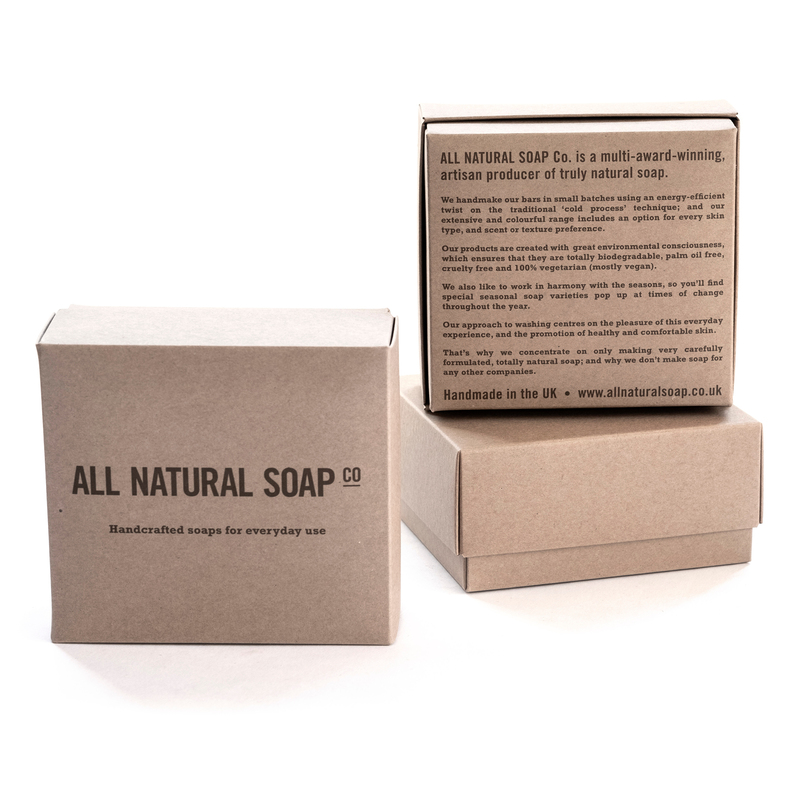 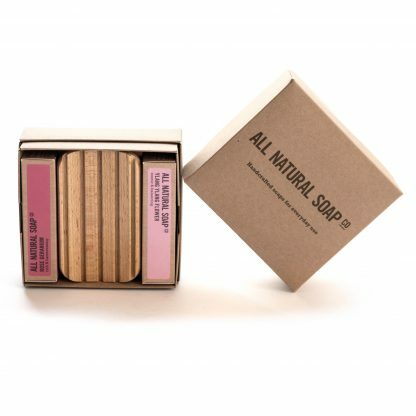 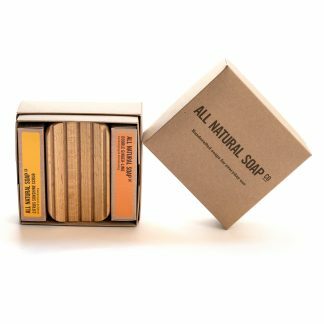 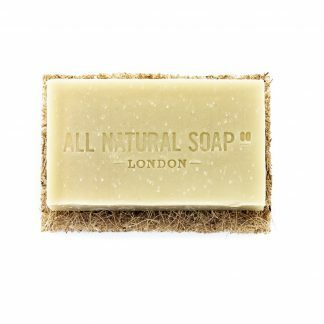 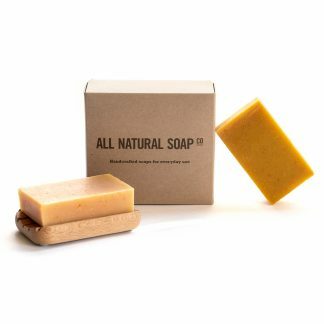 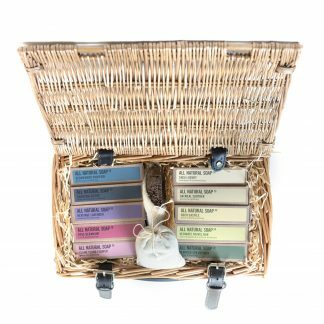 The bars and dish come neatly packaged in an elegant, plastic-free kraft box, complete with further information about our soap making process and values. 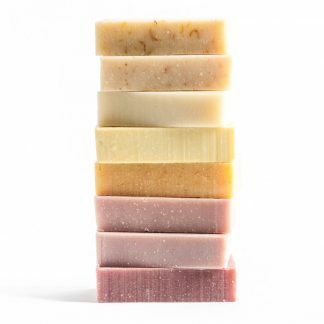 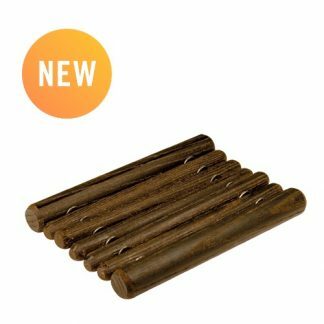 If you’d prefer to tweak this set by swapping out one of the bars or upgrading to a Wonder Wood dish, please see our Custom 2 Soaps & Dish Set.